On a crisp Thanksgiving Day in 1887, a crowd gathered beneath the bare branches of the sycamore trees in the center of Canal Street. Bisected by multiple street railway beds and flanked by the lace-ironwork balconies of multi-story buildings, the broad boulevard's offices and shops were closed, and the street, usually choked with traffic on a Thursday, was traveled by only a few mule-drawn streetcars and omnibuses, the animals’ hooves clopping steadily on the blocks of pavement. The chatter among the crowd gathered at the rail stop rang with words like “flyer,” “header,” and “scortch,” and with the names “Captain Hill” and “Guillotte.” Wagers were likely passed between them, the men for money and cigars, and the women for gloves and handkerchiefs. Soon their conversations were drowned out by the hiss and rumble of a steam engine, and the throngs streamed into the seven cars of the special train of the West End line of the New Orleans City Railroad. All were going to the same place, the West End, one of the lakeside resorts to which the denizens of the city flocked on Sundays and holidays to find respite from the noise and filth of the city. The seven cars were packed with excited New Orleanians. 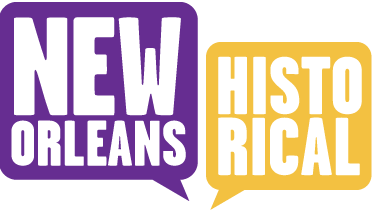 The train pulled forward and a few blocks later, reaching Claiborne Avenue, stopped again at the “neutral ground,” the oak-shaded grass median that divided the avenue. A crowd had gathered there, too. Men, women, and children jostled elbow to elbow, standing on tip toes and craning necks to get a look at the road. The train passengers pressed against the windows at one side of the car, jockeying for view. Assembled at the large intersection were fifteen gentlemen dressed in short pants and riding caps, each wearing a distinctly-colored arm band and standing beside his high-wheel bicycle. 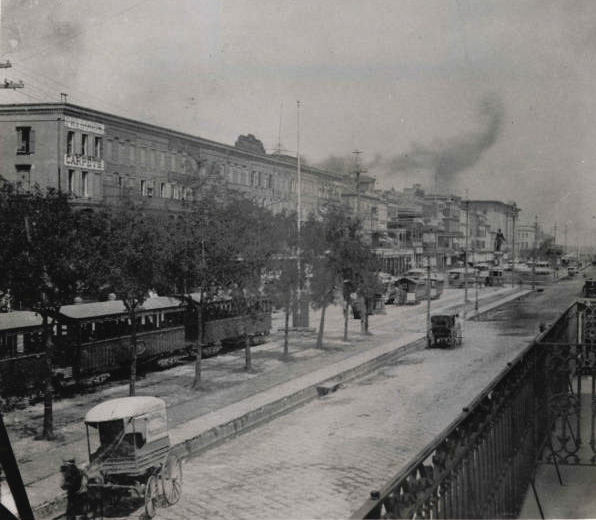 The train, functioning as a moving grand stand, would follow the cyclists as they dashed the five and a half miles up Canal Street and then along the New Basin Canal to Lake Pontchartrain. This was the Thanksgiving Day bicycle road race of 1887, and no one on the train had seen anything like it before. Lacar Musgrove, “1887 Thanksgiving Day Bicycle Road Race,” New Orleans Historical, accessed April 24, 2019, https://neworleanshistorical.org/items/show/503.